With some inspiring spring weather, many homeowners are starting to plan a new patio, but beginning the process can be overwhelming. 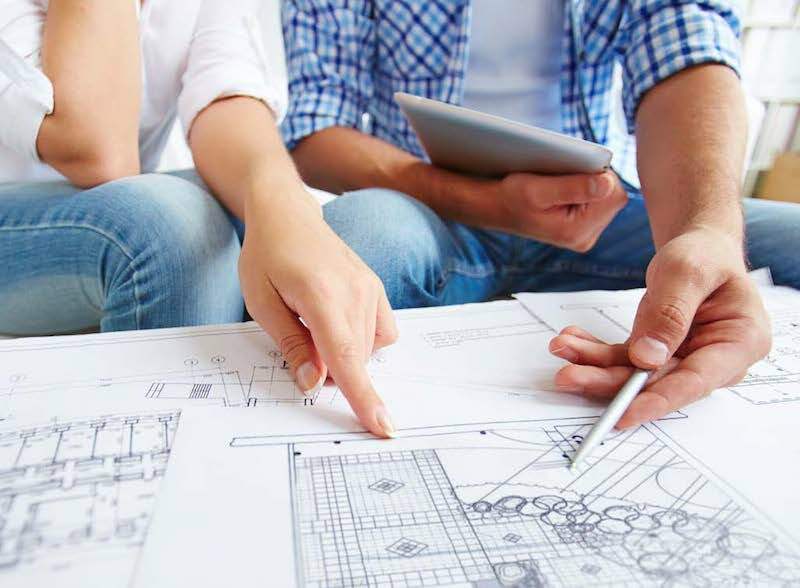 Here are some recommendations to make the process go smoothly and to help you find the right professional landscape designer to turn your vision into reality. Perhaps the most important thing as you start planning your new patio is to identify your top priorities. Outdoor living spaces can be small or large, and can serve a wide range of functions – it’s essential that you’re clear about what a successful project looks like. Think about whether this will be a compact space for intimate gatherings with friends and family, or if you’ll use it for entertaining large groups of people. If you plan to cook outdoors, will designating a space for a cart-mounted grill be sufficient, or should you include an outdoor kitchen? And consider whether there are specific needs such as a fire pit, fireplace or water feature, and whether you want these to be built-in or freestanding. Once you’ve identified your top priorities, start thinking about a budget for your project. This can be difficult if you haven’t already started working with a contractor, but it will be helpful to be clear about what you’re prepared to invest in your new outdoor space from the start – and of course you can always revise the budget later. Professionally installed outdoor spaces take time to plan, design and install, and your project will go more smoothly if you talk about your ideal timeline before design and construction get started. This is especially important if you are planning to host an important event, like a graduation party, wedding or holiday picnic – construction almost always includes some surprises and unexpected changes, and these delays can be stressful for all involved if you’re coming too close to a critical deadline. With these things in mind, start researching local professional landscape designers and contractors to find a good partner for your project. Think about family and friends who have recently completed similar projects and ask them for suggestions, or contact us to ask for our list of local recommended contractors. As you contact prospective companies, tell them about your priorities, budget and timeline, and listen to their responses to decide if your goals are reasonable. Along the way, trust your instincts – the most important things to consider when hiring a contractor are good communication and mutual trust and respect. Visit our Resources page for more advice on how to choose the right professional hardscaping contractor. Planning your new patio is exciting, but it’s worthwhile to spend time thinking about your priorities, budget and timeline in order to design a great project and find the ideal professional contractor. Visit our showroom for more advice, to get a list of qualified local professionals and to start planning your new outdoor room.